Dr. Jayanta Roy is an experienced Neurologist in Mukundapur, Kolkata. He has over 15 years of experience as a Neurologist. He has done Fellowship in Stroke, DM - Neurology, MD - General Medicine, MBBS. You can meet Dr. Jayanta Roy personally at AMRI Hospitals, Mukundapur, Kolkata in Mukundapur, Kolkata. Book an appointment online with Dr. Jayanta Roy and consult privately on Lybrate.com. Lybrate.com has a number of highly qualified Neurologists in India. You will find Neurologists with more than 44 years of experience on Lybrate.com. Find the best Neurologists online in Kolkata. View the profile of medical specialists and their reviews from other patients to make an informed decision. With the help of his treatment for muscle disorder I am feeling so great. During the complete nerve and muscle disorders program he always supported and motivated me. As someone I knew, consulted this Jayanta Roy and they referred us. I was suffering from muscle disorder for such a long time. The facilities available in the AMRI Hospitals are very nice. I have consulted so many doctors but nobody till now was able to understand my concern properly, until i consulted Jayanta RoyI was in so much pain due to my muscle disorder. No matter how critical be the situation, he is always very calm. Never thought I will suffer from something radiofrequency neurotomy like this. He is a very practical doctor. Even though the problem was not so big, but still the other doctors were not able to treat it. The I consulted Jayanta Roy. Everything was just spick and span in the AMRI Hospitals. Jayanta Roy has so much knowledge that for everything my family takes his reference. I saw Jayanta Roy clinic's advertisement in newspaper and that is how we referred him. The interior of the AMRI Hospitals was no nicely done, it was so clean. Thanks to him I am totally satisfied with the results. One of my colleague referred Dr Jayanta Roy. 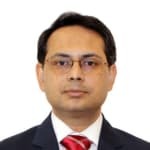 He is not just friendly, but also is very motivating.Dr Jayanta Roy has in depth knowledge and ensures that he explains the problem in detail. I was diagnosed with epilepsy. The AMRI Hospitals is designed in such a manner that all requirements of patients are taken care of. It was so quite pleasant in the AMRI Hospitals. It's been so long, I have lost all hope, but then I met Dr Jayanta Roy and I am hopeful again that I will be fine. I was panicked, because I never thought I will suffer from brain injury like this. I was quite depressed due to my condition, but Dr Jayanta guided me to change my attitude. I was admitted to the AMRI Hospitals in case of emergency, but not once did any of the nurses panicked. He is very talented and seasoned doctor. He is not just highly qualified, but has years of experience in handling high risk cases. I am so much benefitted with his treatment, that i am perfectly fine now. I was shocked to experience the symptoms of fibromyalgia. Dr Jayanta Roy ensures that he gives enough time to each patient. I am so much benefitted with his fibromyalgia treatment, that i am perfectly fine now. One of my colleague referred Dr Jayanta Roy. The overall atmosphere in the AMRI Hospitals is very soothing. During the complete fibromyalgia treatment program he always supported and motivated me. Thanks to him I am much better now. I was diagnosed with neurological problems. Jayanta Roy has a very positive attitude towards all the patients. The AMRI Hospitals is designed in such a manner that all requirements of patients are taken care of. Even though it's been more than a year, still if I sometimes feel pain and call him, and Jayanta Roy still takes my call in case of any emergency. Jayanta Roy has expert knowledge in the field. From quite some time i was suffering from pain, but never gave much importance to it. By chance, I approached Dr Jayanta Roy for second opinion and thank god, i did because, he treated me without any surgery and all. I am so much benefitted with his treatment, that i am perfectly fine now. It was an amazing experience as everyone in the AMRI Hospitals is so nice. My mother(Shamsa Iqbal) had a stroke 2 years back and she was under treatment by Dr Jayanta Roy. He had been quite a savior for us and helped her recover quite fast. We visit the doctor for routine consultations. He is very skilled in his field augmented with excellent skills in dealing with patients in a very patient and motivating way. HIGHLY RECOMMENDED!!! Dr Jayanta is not just friendly, but also is very motivating. She has broad knowledge in the field of Neurology. Never thought I will suffer from something like muscle disorder. With the help of his treatment for muscle disorder I am feeling so great. The atmosphere in the AMRI Hospitals is always so positive and full of life. Even though I was fit and fine, it was shocked when I got to know that I have migraine.It has been quite some time that i was suffering from migraine. Thanks to Dr Jayanta, I am totally satisfied with the results. I was quite impressed with her concept of holistic healing. I am feeling much better now. I never ever seen one doctor like Jayanta Roy. He is next to God to our family. Epilepsy - Signs and Symptoms You Should Know! Epilepsy is a disorder of the central nervous system, thus it is basically a neurological disorder. In this the nerve cell activity of the brain is disrupted and causes seizures along with episodes of unusual behavior along with the loss of consciousness. The symptoms of the seizure can vary and some people with epilepsy just stare blankly for few seconds when a seizure takes place, while some twitch their arms and legs repeatedly. Mostly the symptoms vary depending on the type of the seizure. The seizures are further classified into focal and generalized depending on which part of the brain shows abnormal activity. Simple partial seizures or the focal seizures without loss of consciousness. These seizures basically alter the emotions and the things like change in smell, look, sound and taste. These also result in the involuntary jerking of the body like the legs and arms, with spontaneous sensory symptoms like the tingling and flashing of the lights. Complex partial seizures or the focal dyscognitive seizures. These seizures have a loss of awareness and consciousness. One might just stare blankly into space in this seizure and performs repetitive activities like swallowing, chewing, walking in circles and chewing. Absence seizures, also known as petit mal seizures, are commonly seen in children and are characterized by subtle body movements like lip smacking and eye blinking and staring blankly into space. These also cause loss of consciousness. Tonic seizures lead to stiffening of the muscles. These affect the muscles of the legs and arms and also cause to fall to the ground. Atonic seizures are also called as drop seizures. These cause loss of control in the muscles, thereby leading to collapse or fall. Clonic seizures are the rhythmic and jerking muscle movements. These affect the arms, face and neck. Myoclonic seizures appear as twitches in the arms and legs. Tonic-clonic seizures also known as grand mal seizures are very dramatic and lead to body stiffening, abrupt loss of consciousness, shaking and loss of bladder control and tongue biting. Epilepsy: What You Need To Know About It? Epilepsy is a neurological disease which is characterised by recurring epileptic seizures. These seizures can be brief or can persist for prolonged periods. Vigorous episodes which last long can result in physical injuries such as broken bones. Mention that 6th February is International epilepsy day. The cause of this condition isn’t very evident; however, most medical practitioners attribute epileptic seizures to brain injury, tumours, infections in the brain or birth defects. Some doctors believe that epilepsy is caused due to genetic mutations and is an outcome of abnormal activity of cells in the brain. Other causes for this condition can be alcohol or narcotics withdrawal and electrolyte problems. A seizure, also known as fit, is usually a brief episode characterised by uncontrollable jerking movement and loss of awareness due to abnormal neuronal activity in your brain. A collective occurrence of these seizures causes epilepsy. There are three types of seizures an epileptic person usually encounters. Symptomatic: These seizures occur due to a reason. Medication: Medication is the most common treatment in case of epilepsy. Drugs taken on a regular basis can stop the seizure partially. But in very severe cases, they seem to have no effect at all. Surgery: For symptomatic seizures which are caused due to abnormal brain function, surgery can be a way to get rid of seizures. In some minor cases, nerve stimulation in the brain and special diets can be prescribed to control the epileptic seizures. Popular celebraties with epilepsy include Aristotle, Alfred Nobel, Alexander the great, Sir Isaacs Newton, Martin Luther and Julius Caesar etc. Surgery can cure epilepsy in some patients. Things You Must Know About Brain Stroke! Identifying the Early Signs of Migraine! Some medications aren't recommended if you're pregnant or breast-feeding. Some medications aren't given to children. Your doctor can help find the right medication for you. If you wish to discuss about any specific problem, you can consult a Neurologist. Does A Bigger Brain Make You Smarter? So the verdict as per medical science and research stands divided! If you wish to discuss about any specific problem, you can consult a Neurologist. 4 Warning Signs About Hallucinations You Should Know! Getting Hallucinations is a mental condition where a person sees, feels, hears, and tastes things that actually don't exist beyond one's heightened imagination or delusion. It involves the experience of perceiving something not present. Hallucinations can be pleasing or frightening. However, there is almost always an identifiable cause behind it. Hearing voices: The medical term for hearing voices is called an 'auditory hallucination'. A person may sense sounds or noises coming from inside or outside of their mind. The noise might be random or disrupting. One might also feel the voices talking to each other or trying to tell them something. Most of the times, these voices come from inside the person's mind; or in some cases, one's heightened perception may make a normal noise delusional. Seeing things: This is also called visual hallucinations. For instance, one may see unnatural things like a floating chair in thin air. It all depends on a person's perception. Sometimes these hallucinations appear as bright flashy spots or rays of light. False sense of taste and smell: Technically these are known as gustatory and olfactory hallucinations respectively. One may feel a kind of odor coming from one's body or surrounding; or a person might feel that something he/she is drinking or eating has an odd taste. This is again heightened mal-perception causing delusional sensory activities. Tactile hallucinations: This is when a person feels things that don't exist. One may feel that he/she is being touched or tickled even when no one else is around or that insects are crawling beneath the skin. One may experience strange sensations, which are not a part of a reality. If you wish to discuss about any specific problem, you can consult a Neurologist. I am a 30 year old male, I experienced a partial seizure 6 years ago and I'm under medication for the same. I was taking Levipil 500 mg tablets twice a day, my doctor has gradually reduced my dosage to Levipil 250 mg once a day. Now my doctor has stopped medicine. What are the possible side effects I may experience after stopping the medicine? I feel dizzy, loss of control and shivering sometimes are they related to the condition of stopping medicine? If your doctor has decided to stop the drug, it must be after considering your risk is low for recurrence. Normally we don't see any problem after levipil is withdrawn. But report to your doctor once you are facing them. What is burning feet why attacked in young boy so its normal for old person but why attacked young person? Some disease condition may cause burning feet even in young, like some vitamin deficiency disease, alcohol addiction etc.